I’m sorry to say we could be without out stable jockey Sam-Twiston Davies for the next few weeks.Everyone here wishes him a speedy recovery after his horrible fall in a hurdle race at Chepstow on Sunday. When he was stood down by the racecourse doctor for the rest of the day Sam expected to be back in action 48 hours later. But he ended up in Gloucester hospital after feeling unwell that evening and is likely to remain there for several more days while doctors monitor the extent of damage to his spleen. It is a big blow to Sam who has made such a good start to the season with seventy winners. He can’t wait to go home but when someone damages their spleen they need time to recover and he is in the best place at the moment. We will not be having a huge amount of runners while the dry spell continues and the important thing is for Sam to be 100 per cent fit and healthy when he does come back. It’s possible that may not be until the Cheltenham meeting next month. In the meantime I am lucky to have a top team or jockeys who will share the rides from the yard. A four-timer at Chepstow on Sunday continued the sparkling form of our horses this season. We made a much faster start than usual during the summer and now have loads of horses to run later this month once we have some much needed rain to ease conditions underfoot. I always try to target races at Chepstow’s first jumps meeting in October so was delighted to hear it would be extended to two days this time. I’ve made no secret of the fact that I am looking to our younger horses to take a big step forward this season and Diego Du Charmil certainly played his part with a fine victory under 11st 8lbs in the Weatherbys Hamilton Hurdle on Saturday. While he was bought with chasing in mind I felt he should remain over hurdles for another 12 months and though he was not fully wound up he kept on strongly on the flat to win nicely. I’d expect Diego Du Charmil to come on for this run and will now look at the Greatwood Hurdle for him at Cheltenham or maybe the Elite Hurdle at Wincanton. Capeland, Clan Des Obeaux and Mr Mix were others to run well on the first day at Chepstow. Capeland shaped like a readymade winner next time, Clan Des Obeaux, still only four, jumped really well against older, more experienced horses and Mr Mix shaped as though he needs a bit further in finishing fifth in the Silver Trophy. I was thrilled with the way Dolos hacked up on his debut for us on Sunday in the opening juvenile hurdle, a race we’ve won several times in recent years. He is an exciting prospect, jumps fluently and is likely to go for a Grade 2 race for three year olds at Cheltenham’s Open meeting in a month’s time. Art Mauresque then landed the £25,000 chase from a career high mark though he was all out at the finish to hold the late charge of Double Shuffle. He travelled so well he probably led a bit too soon as he tends to idle once he hits the front. Art Mauresque has improved physically over the summer and is in such good form he’ll have entries in the Old Roan Chase at Aintree and the BetVictor Chase at Cheltenham. With Sam Twiston-Davies stood down for the day by the doctor after a really nasty fall earlier in the day Sean Bowen proved to be a highly effective sub as he brought El Bandit with a powerful late run to land the Grade 1 Persian War Hurdle over just short of two-and-a-half miles. It was a gutsy effort by horse and rider as El Bandit really needs three miles. He has progressed no end since winning his maiden hurdle at Warwick in April, remains a novice until the end of the month and while I have the option of switching him to fences I’m tempted to keep him to hurdles for the time being. Coastal Tiep then capped a superb day for us with a fluent success in the first division of the bumper in the colours of the recently formed Ditcheat Thoroughbreds who have carried all before them in the last week or so. This was the third winner from their first three runners. 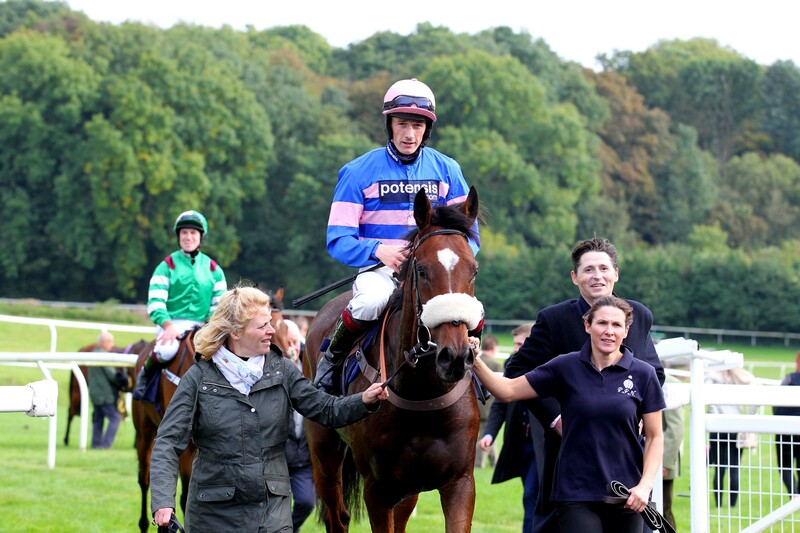 Coastal Tiep must be one of the only horses to have run twice in a day last season in point-to-points. Carried out through no fault of his own in the first maiden of the afternoon he was turned out a bit later and won well. 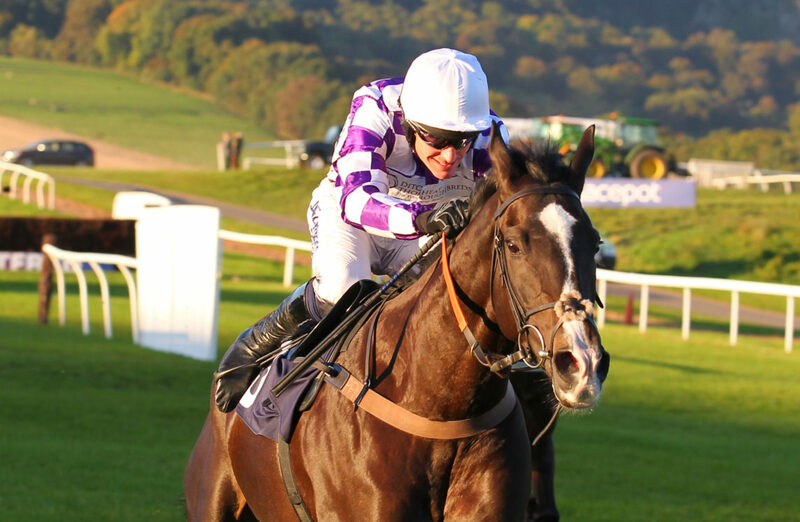 Earlier in the week Coillte Lass and Black Corton both won well but it was not all good news as Old Guard fluffed his lines with a wholesale blunder which put him out of the race at the first fence in the novice chase at Newton Abbot. That came as a surprise as he had impressed in his schooling at home. Sam wisely pulled him up straight away and he was fine afterwards. We will give him a pop or two over fences at home to restore his confidence before looking for another novice chase for him. On Friday we could have two or three runners at our local meeting at Wincanton and I’ll be looking to enter a couple of horses at Ffos Las on Saturday in the Welsh Champion Hurdle which has been brought forward from its previous date in the calendar. We have lost one of our most loyal owners with the death of Graham Roach at the weekend. Jump racing was Graham’s great passion and he relished buying well bred young prospects as foals or yearlings and giving them time to develop and mature at his home in Cornwall before putting them into training at four or five. 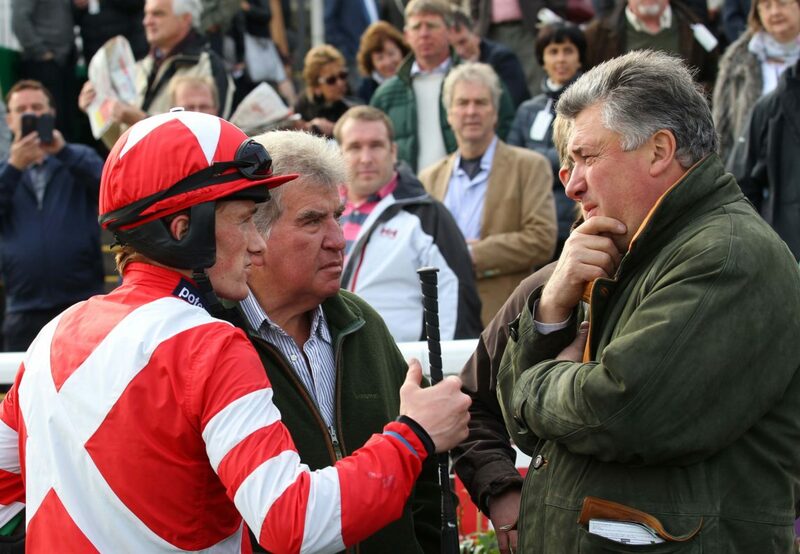 He was a tremendous supporter of National Hunt racing, first sent me horses when David Nicholson retired and quickly became a really good friend. We enjoyed no end of success together and had many memorable days with horses like Shotgun Willy, St Pirran, Thisthatandtother, Hawkes Point, Silence Reigns and many others. Graham planned his whole year round the Cheltenham Festival and was tickle pink to win races there in successive years with St Pirran in the Grand Annual and Thisthatandtother in the Daily Telegraph Festival Trophy. More recently he hugely enjoyed the victory in the 2015 bet365 Chase of Just A Par which he owned in partnership with his great friend Paul Barber. Every autumn Graham did the pre training with his horses at home in Par before sending them on to us and we have some lovely youngsters now that would have given him a lot of fun in the future. He was a top man to train for and we will miss him badly.